Greetings, Blossoms! 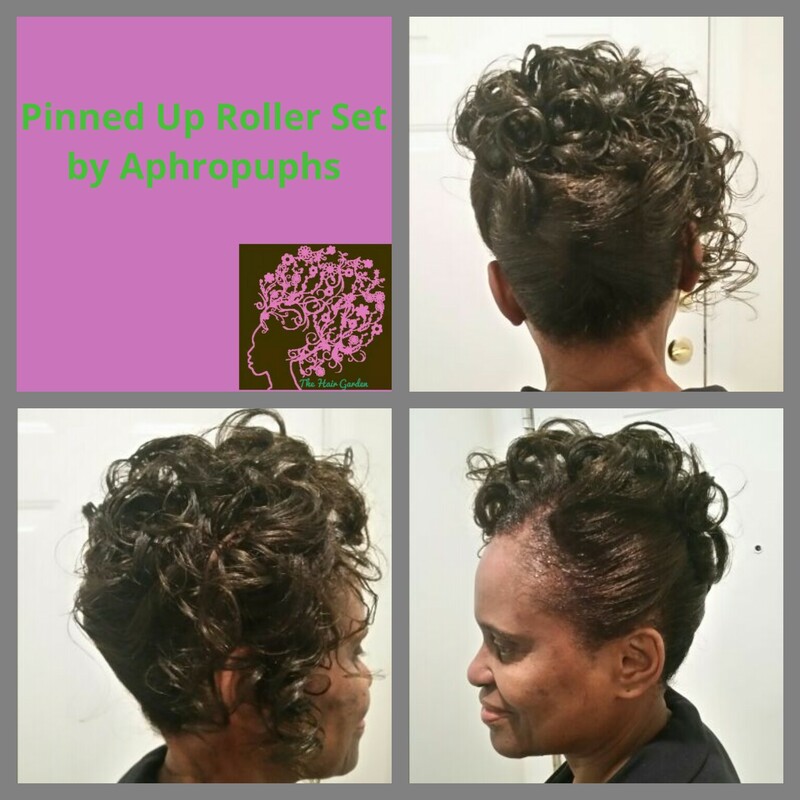 These are 2 different styles on the same person! 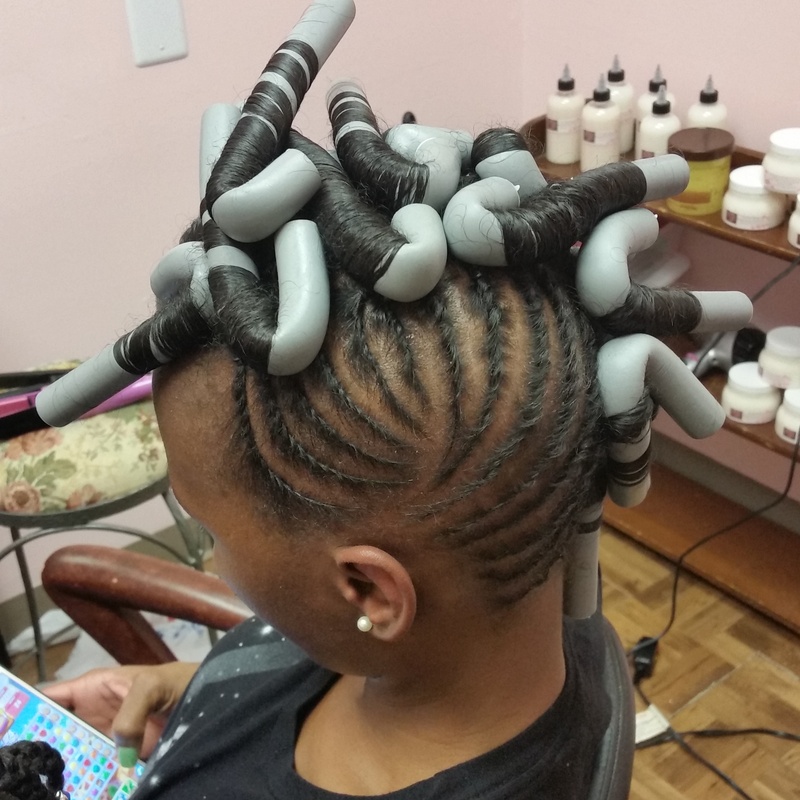 This first look has all the hair flat twisted to one side with the front part spiral set with flexi rods. 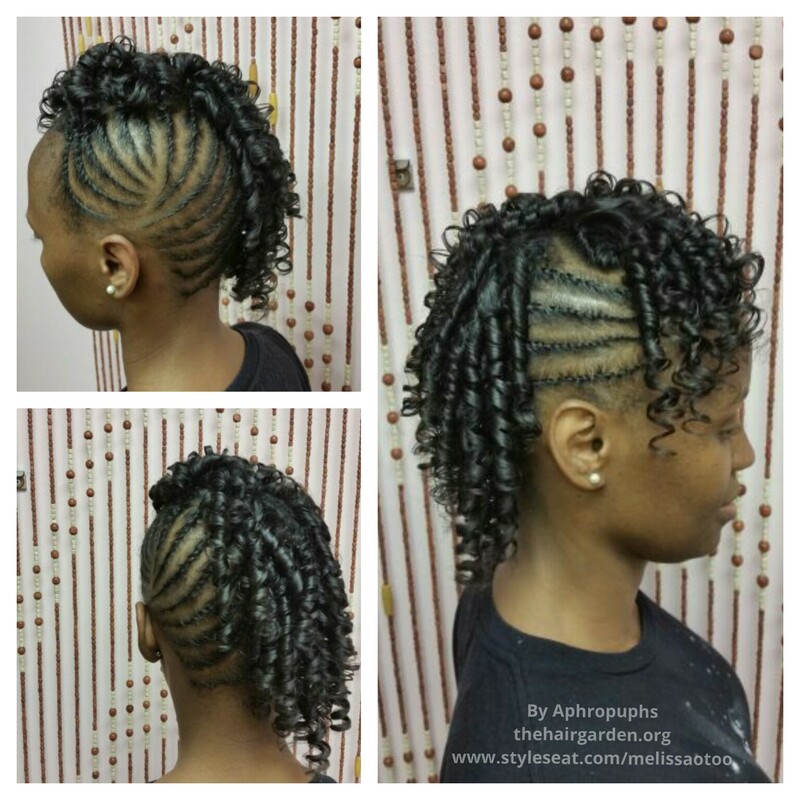 The 2nd look is with the hair parted into a slanted mohawk to accommodate her length. 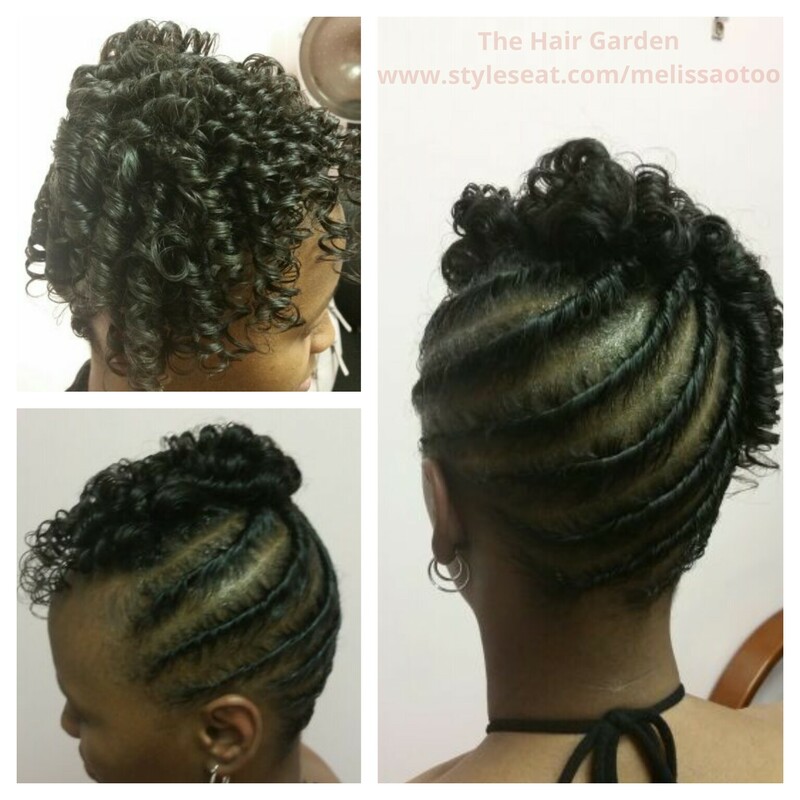 Each look should last about a week due to her soft, natural hair texture. All she needs to d it tie it up at night to maintain the look.